Like many presidential administrations, the Trump team’s political appointees prefer to put their own mark on inherited efficiency improvement efforts. The managers at the Internal Revenue Service are no exception. The tax agency’s plan for “Future State,” launched in 2014 under then-Commissioner John Koskinen to polish up customer service and consult more with stakeholders, is no longer known to employees by that name, the Government Accountability Office reported last week. They cautioned, however, that the approach is “more of a rebranding than a policy change,” and that Future State’s basic goals remain part of the six themes in the 2018-2022 strategic plan. Drive more agility, efficiency and effectiveness in IRS operations. The newer strategic plan differs only at the margins, placing greater emphasis in its key tenets, for example, on combating refund fraud and theft. 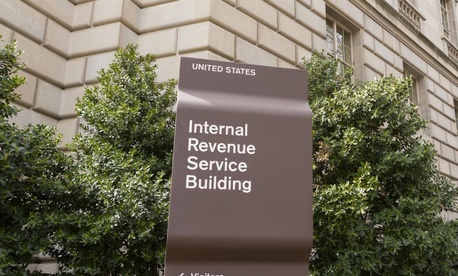 GAO noted that IRS’s implementation timetable remains unclear, and that the Obama IRS had not estimated the total cost of Future State reforms, saying it depended on final annual budgets. A separate progress report faulted the tax agency for insufficient documentation and follow-through on a plan launched under Obama in response to an angry Republican Congress, specifically a Senate Finance Committee probe, to beef up monitoring of tax-exempt organizations that risk engaging in improper political conduct. “In July 2015, the IRS created the Political Activities Referral Committee (PARC) with three experienced managers to independently review referrals containing allegations of impermissible political activity and determine if examinations were warranted,” wrote the Treasury Inspector for Tax Administration in a report released on Tuesday. Those complaints—like those that prompted the multi-year probes of alleged anti-conservative bias in IRS’s Tax-Exempt division—can come from Congress, IRS employees or private citizens. Auditors found that between July 2015 and August 2016, 19 high-profile referrals were forwarded to the PARC, which determined that 10 merited further examination. But as of January 2018, only five such examinations had been started, auditors found, and none of the groups accused of improper politicking had their tax-exempt status revoked. In a larger statistical sample of 6,500 complaints received by the IRS from July 2015 to August 2016, TIGTA estimated that more than 1,000 were not forwarded to the political activities committee and perhaps should have been. The watchdog made five recommendations to the acting commissioner of the division, which included providing further guidance and training on proper processing of complaints that might go to the committee. IRS managers agreed with all.